The Newhouse School’s magazine department will host a panel discussion about Snapchat Oct. 4 at 6 p.m. in the Joyce Hergenhan Auditorium, Newhouse 3. Follow on Twitter at #NHdigitalPanel. With over 10 billion daily video views, Snapchat has evolved into a mix of private messaging and public content, including publications, brands and live entertainment events. 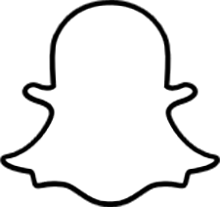 As one of the leading social media platforms, Snapchat continues to innovate and expand on its platform. But what does this mean for publishers and brands who wish to engage with their users on Snapchat? The panel will cover topics ranging from content creation and editorial strategy to audience analytics and measurement. For more information, contact Adam Peruta at 315.443.9245 or arperuta@syr.edu.